The Decline and Fall of the Roman Empire is the short title of an important book by the 18th century English historian Edward Gibbon. The book traces the Roman Empire—and Western civilization as a whole—from the late first century AD to the fall of the Eastern or Byzantine Empire. Published in six volumes, from volume I in 1776 to volumes IV, V, VI in 1788–89. The work covers the history of the Roman Empire, Europe, and the Catholic Church from 98 to 1590 AD, and discusses the decline of the Roman Empire in the East and its fall in the West. Because of its relative objectivity and heavy use of primary sources, its methodology became a model for later historians. This led to Gibbon being called the first "modern historian of ancient Rome". Gibbon gave an explanation for why the Roman Empire fell. According to Gibbon, the Roman Empire succumbed to barbarian invasions because its citizens gradually loss their "civic virtue". They had become weak, using barbarian mercenaries to defend their Empire, who then became so numerous that they were able to take over the Empire. Romans, he believed, became unwilling to live the tougher, "manly" military lifestyle. In addition, Gibbon argued that Christianity created a belief that a better life existed after death. This fostered an indifference to the present among Roman citizens, and sapped their desire to sacrifice for the Empire. He also believed its pacifism tended to hamper the traditional Roman martial spirit. Finally, like other Enlightenment thinkers, Gibbon held in contempt the Middle Ages as a priest-ridden, superstitious, "dark age". It was not until his own age of reason and rational thought, so it was believed, that human history could resume its progress. Gibbon sees the Praetorian Guard as the main catalyst of the empire's initial decay and eventual collapse, a seed planted by Augustus at the start of the empire. He cites repeated examples of the Praetorian Guard abusing their power with calamitous results, including numerous instances of imperial assassination and incessant demands for increased pay. In Volume I, especially Chapters XV and XVI, Gibbon challenged Church history. He estimated far smaller numbers of Christian martyrs than had been previously thought. The Church's version of its early history had rarely been questioned before. For Gibbon, however, the Church writings were secondary sources. He shunned them in favour of primary sources from the period he was writing about. This is one reason why Gibbon is referred to as the "first modern historian". 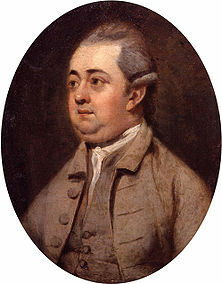 Gibbon's main theory was that Christianity as a prime factor in the Empire's decline and fall. "The introduction, or at least the abuse, of Christianity, had some influence on the decline and fall of the Roman empire. The clergy successfully preached the doctrines of patience and pusillanimity; the active virtues of society were discouraged; and the last remains of military spirit were buried in the cloister". Later historians have mostly not agreed with Gibbon. Today, historians tend to analyze economic and military factors in the decline of Rome. David Womersley (ed) 1 volume (New York: Penguin Books, 2000). Includes all footnotes and eleven of the original seventy-one chapters. ISBN 0-14-043764-9, 848 p.
↑ David S. Potter (2006). A Companion to the Roman Empire. Wiley. p. 100. ISBN 978-0-631-22644-4. ↑ MacMullen, Ramsay 1988. Corruption and the decline of Rome. New Haven: Yale Univ. Press. ↑ Burns, Thomas S. 1995. Barbarians within the gates of Rome: a study of Roman military policy and the barbarians, ca. 375–425 AD. Bloomington: Indiana Univ. Press. This page was last changed on 13 March 2018, at 19:26.